hearty magazine | Can Exercise Make You Better at Your Job? Featured__ Can Exercise Make You Better at Your Job? Sweating it out for at least 150 minutes a week promotes focus and efficiency in the office, according to Michael Mantel, author of Don’t Sweat the Small Stuff, P.S. It’s all small stuff. With a boost in your work efficiency your nine-to-five day could become a nine-to-four, leaving you that extra hour to make it to your fitness class. As you begin to regularly workout through your work week your mind becomes less cluttered, stressed and more balanced. With a cool calm washed over you work becomes less “ugh work” and more a place to expand your creativity. People who live healthy lifestyles are more likely to wake up with a goal-oriented mind set and positive body image. When you look good you feel good. And that completely applies here, not only do you resonate confidence but your work peers are more likely to see you in a positive light as well. Don’t let frustration phase you in the office. Instead take out those daily frustrations in your workout. Channel that negative energy and watch how it transforms your light workout to a don’t-mess-with-me workout. By relieving your stress elsewhere it’s likely it won’t follow you back to the office. Whether it’s getting through those last couple hours in the office or pushing through your final set of glutes, one thing is necessary – perseverance. The ability to push past negative thoughts and common stressors is needed in all daily activities, but leading a healthy lifestyle can help to clear your mind and understand that you can do anything. 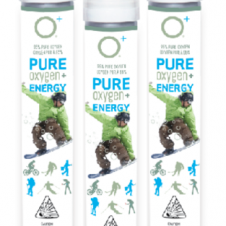 Get HealthyDo You Need Oxygen From A Can? 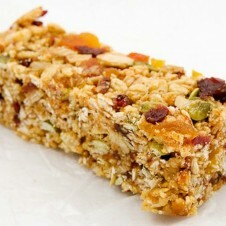 Featured, Get Fed, Get HealthyTo Protein Bar Or Not To Protein Bar? Featured, Get FitIs It Okay To Hit The Gym Twice A Day?